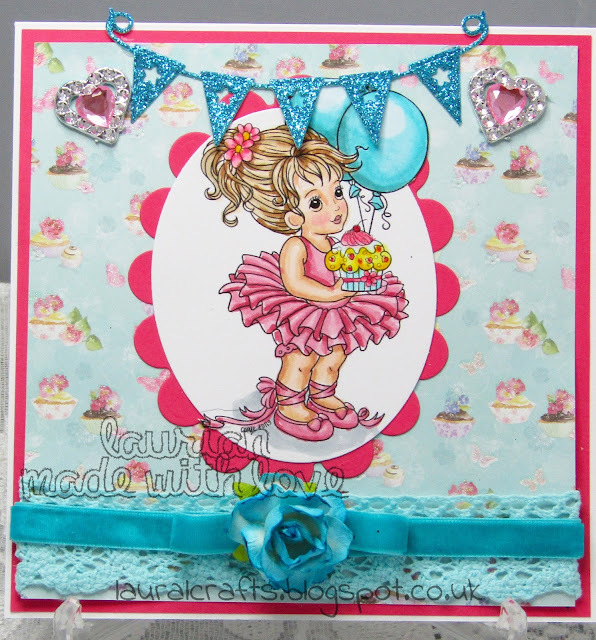 Outside the Box: Birthday Beauty! I coloured up this adorable image from Conie Fong to enter into the FB challenge. I am still practising with my Copics and starting to get used to them! The FB challenge is Bows and I added a pretty bow on this at the bottom with some lovely velvet ribbon and centred it with a pretty turquoise rose. Isn't she just such a beauty! I will use her as a Birthday card for a friend. I hope you like my little ballerina!